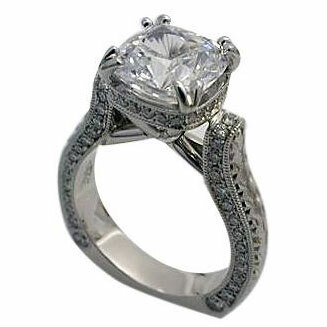 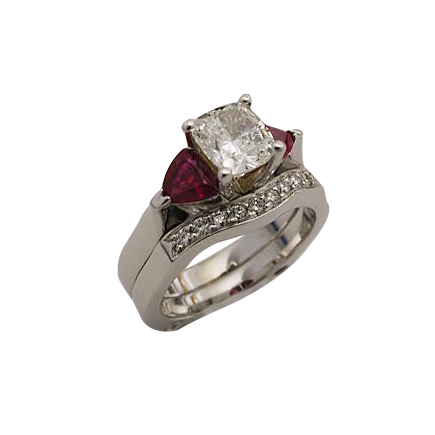 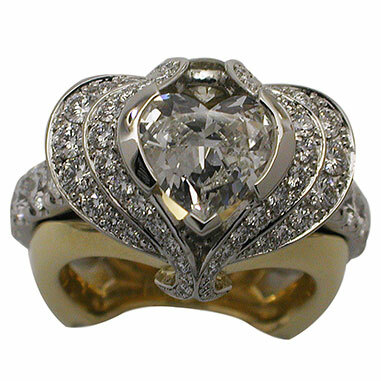 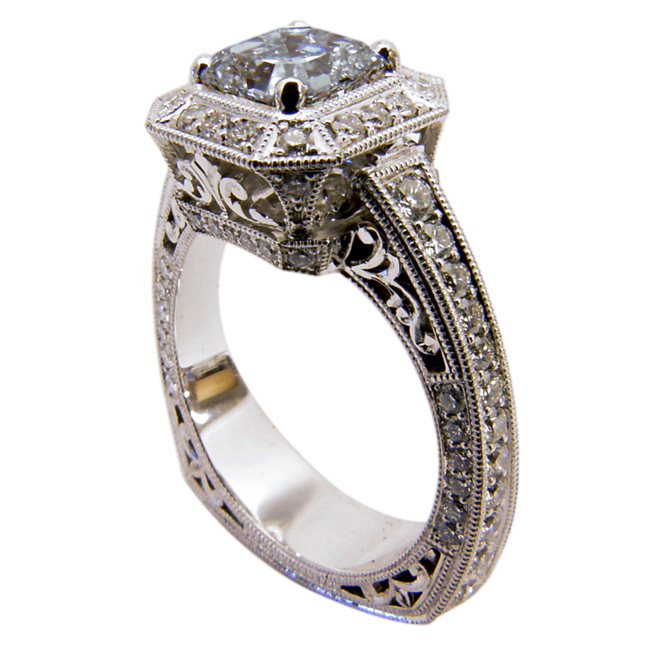 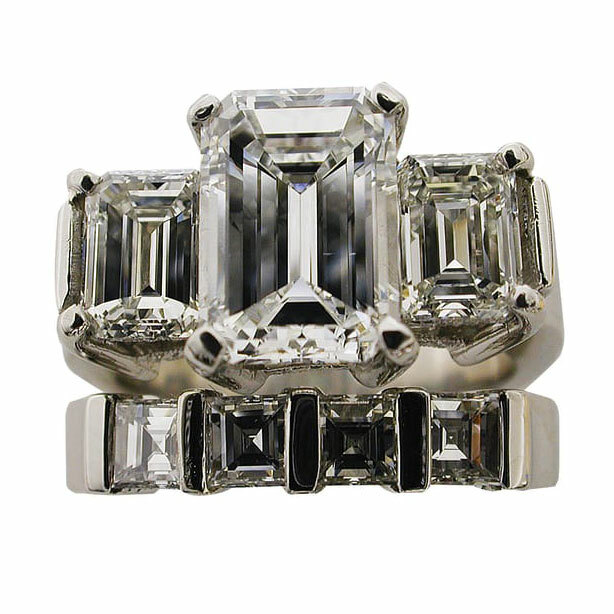 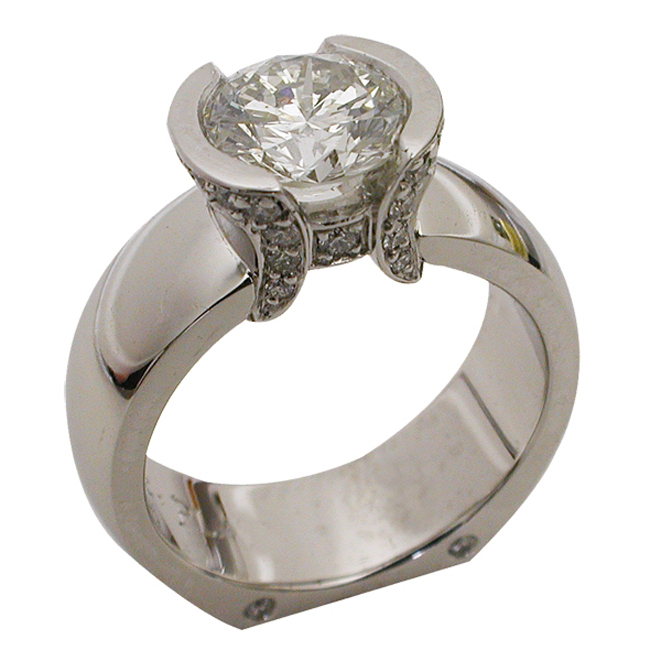 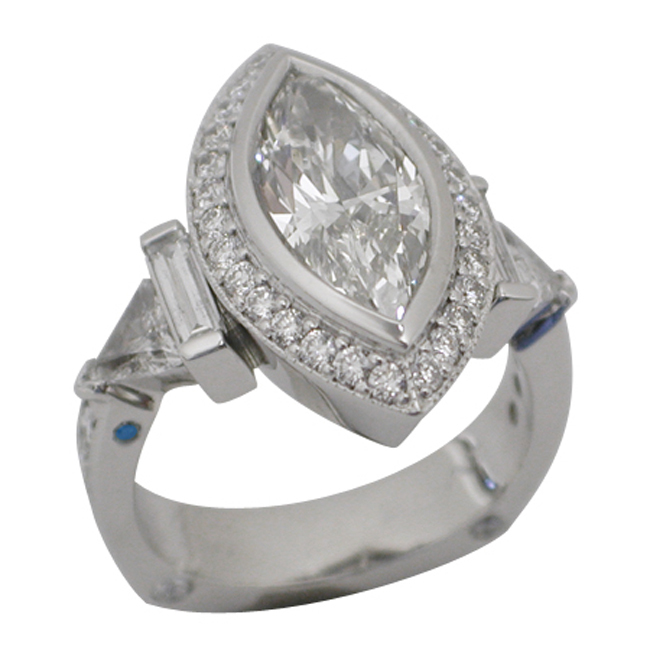 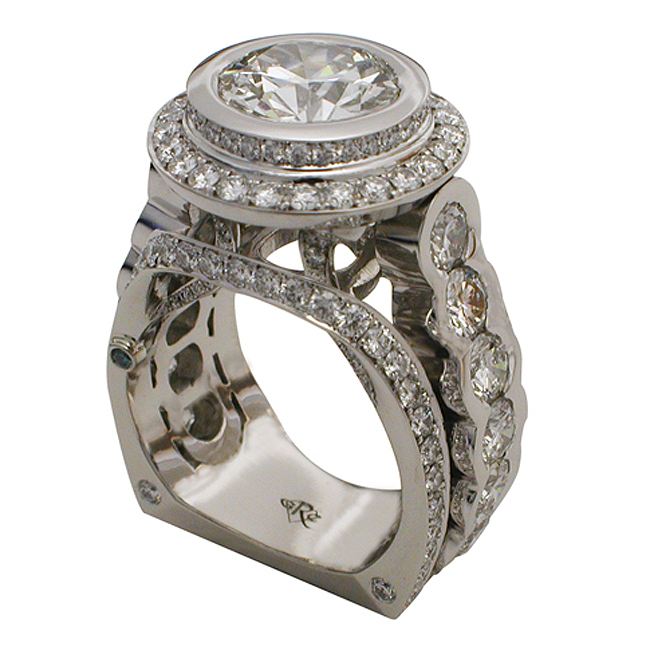 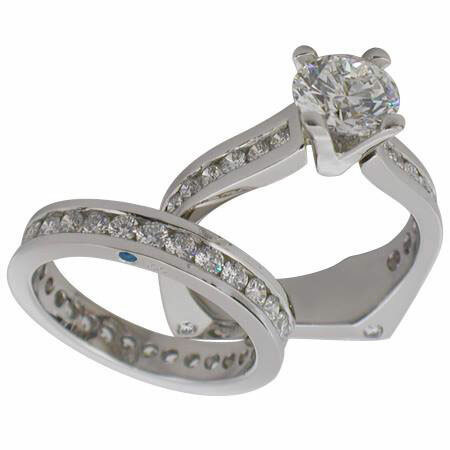 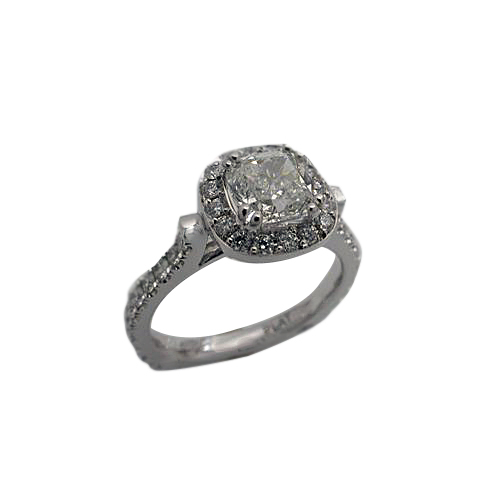 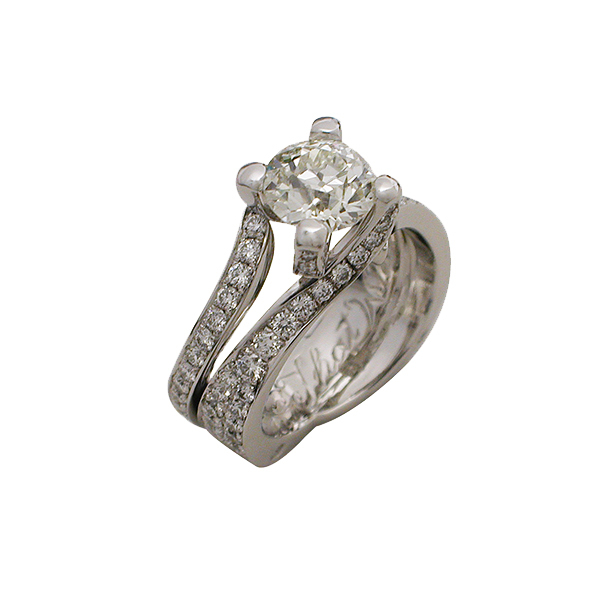 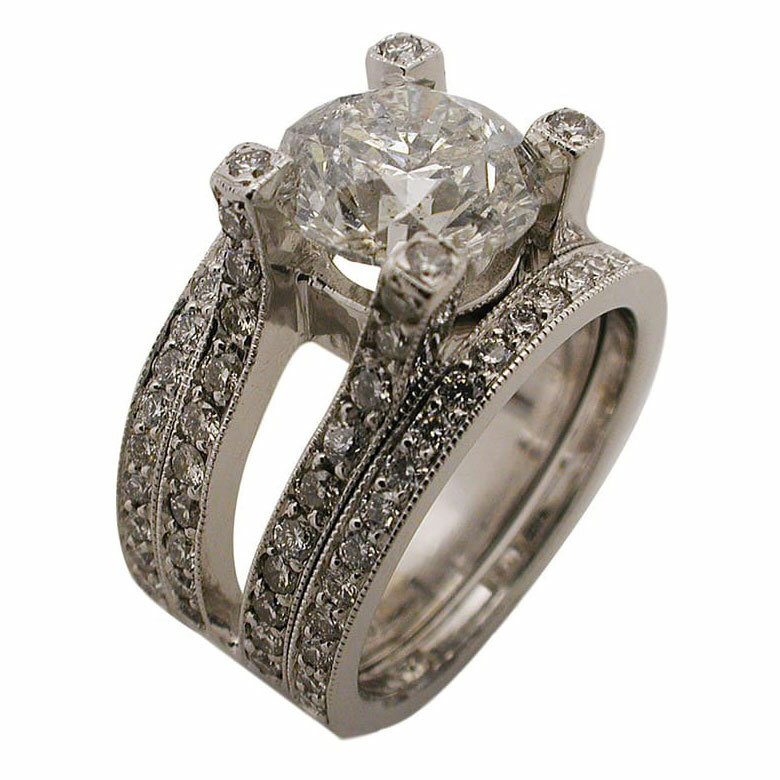 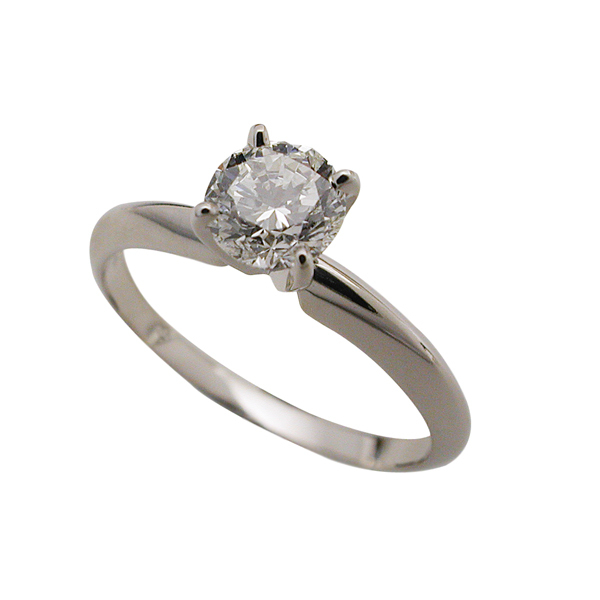 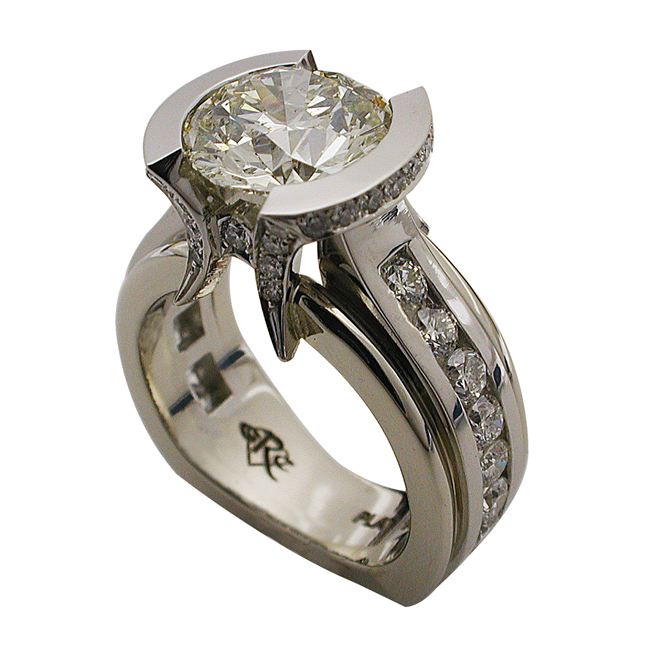 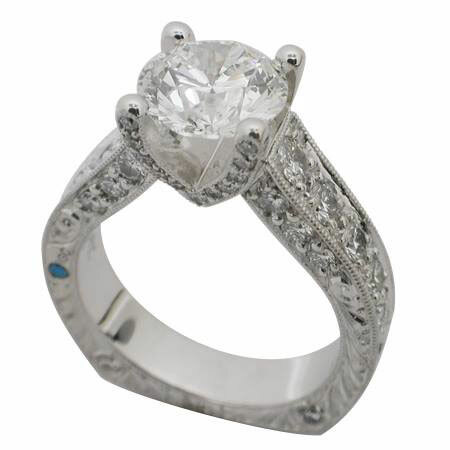 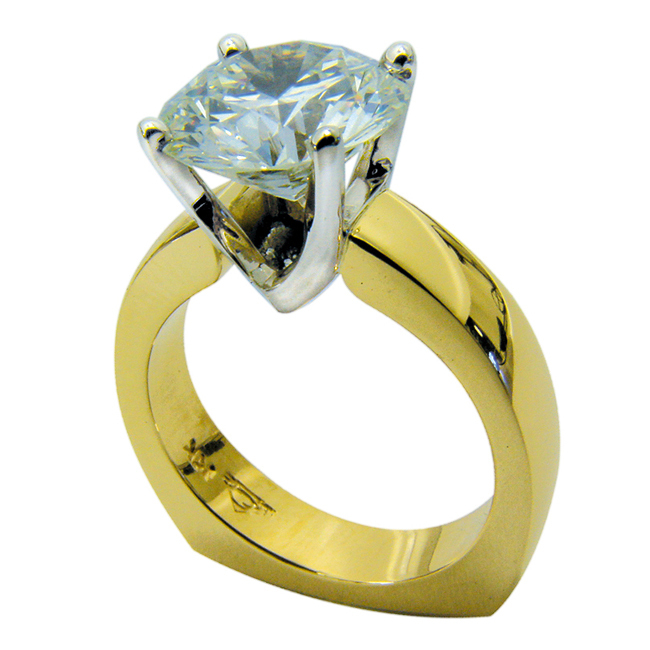 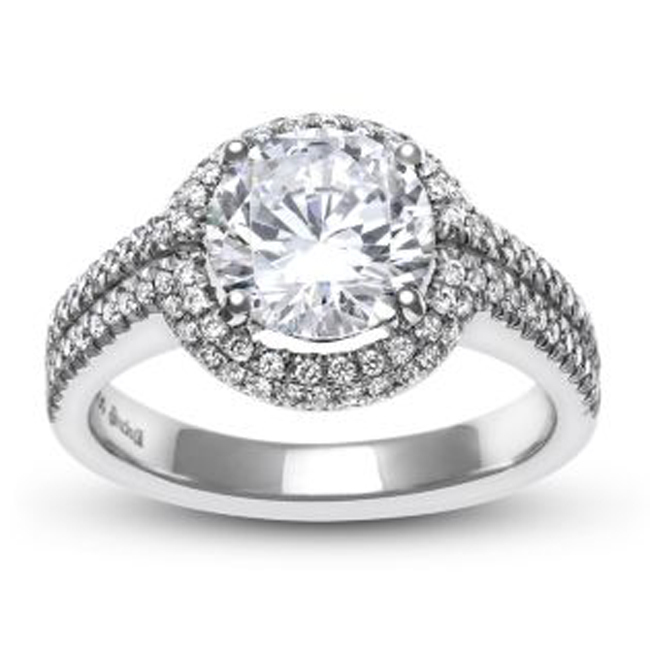 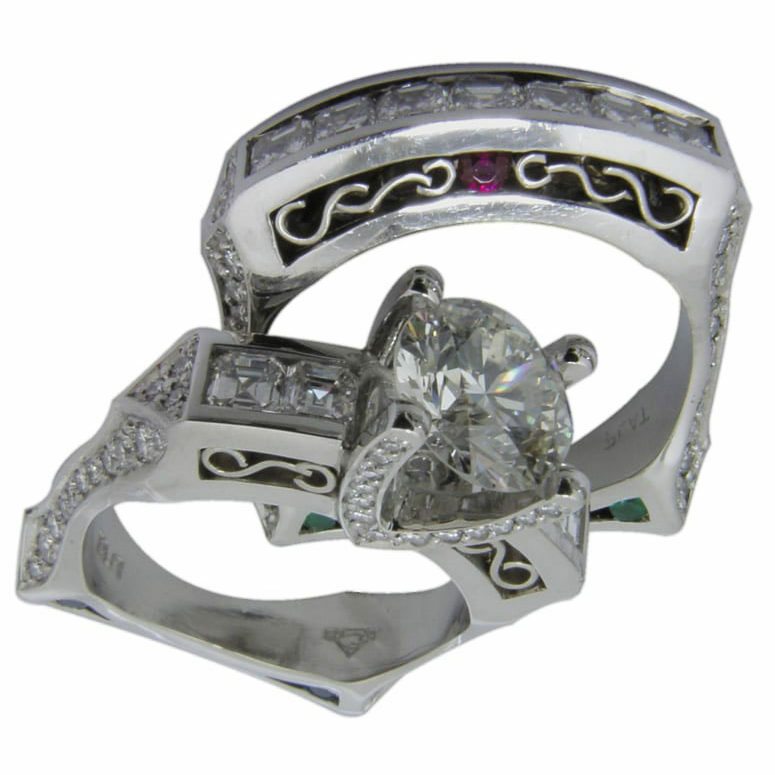 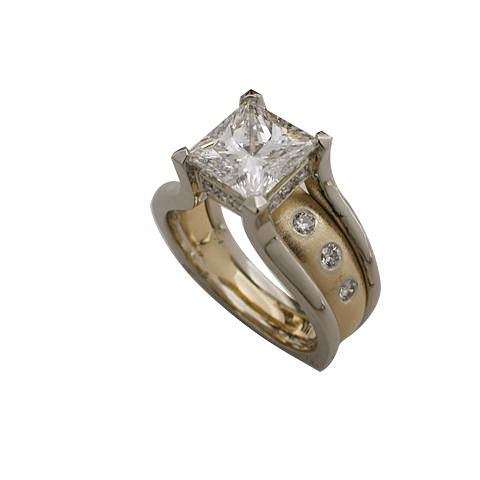 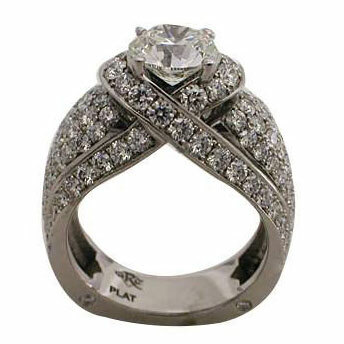 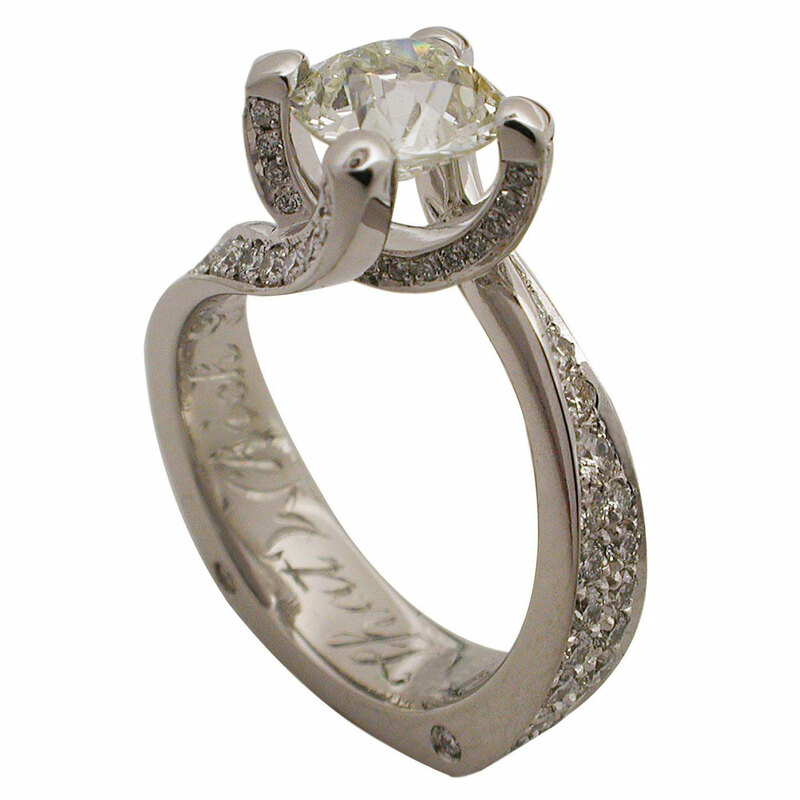 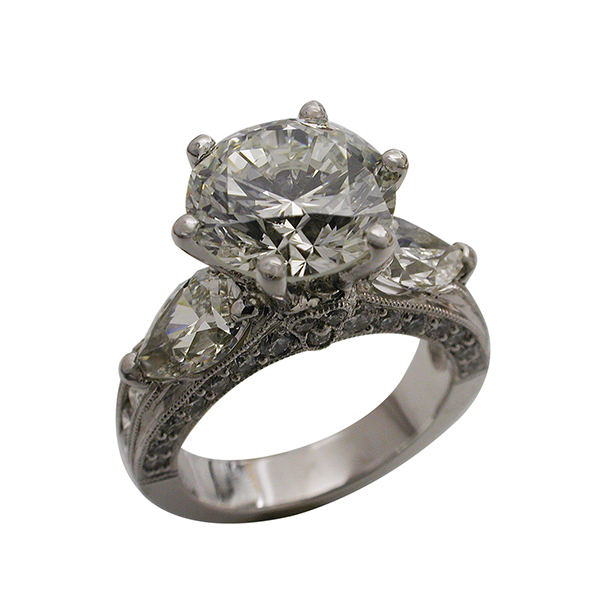 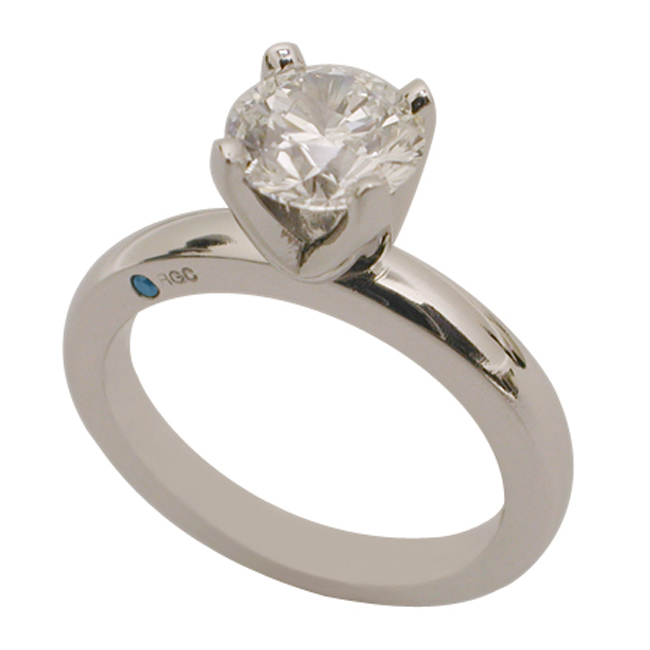 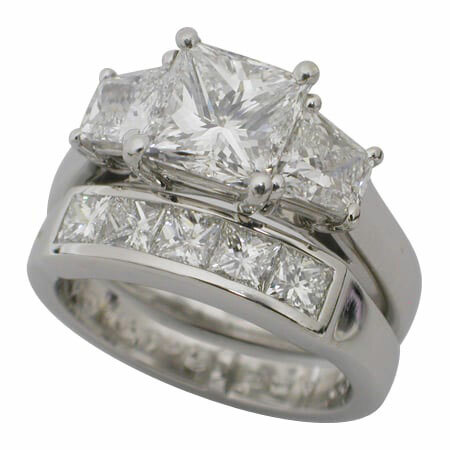 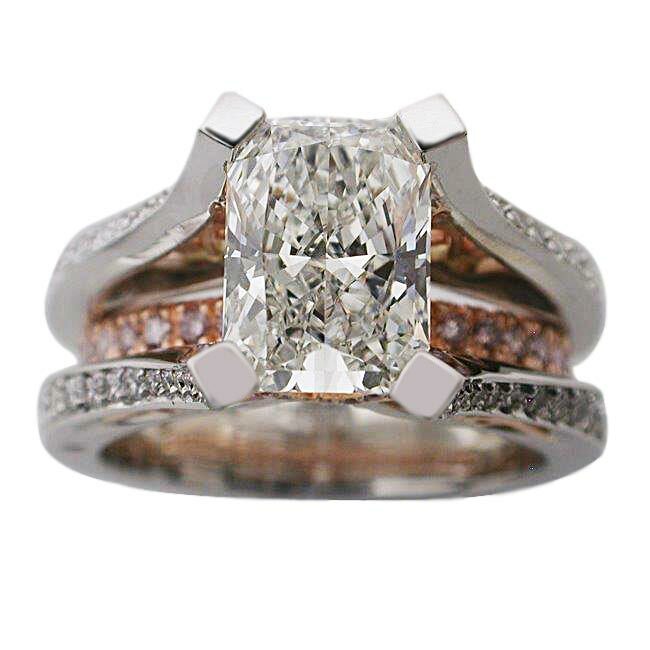 Stones: Center Stone: 1.53ct Near Colorless Round Brilliant Cut Diamond. 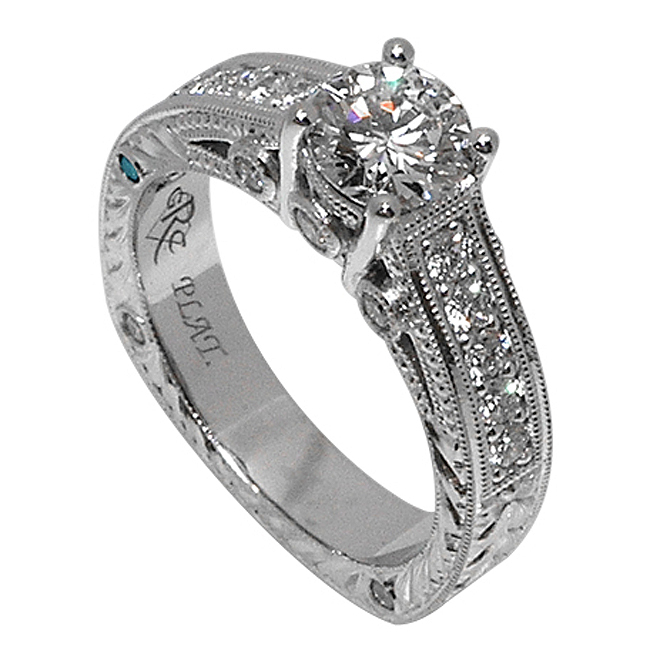 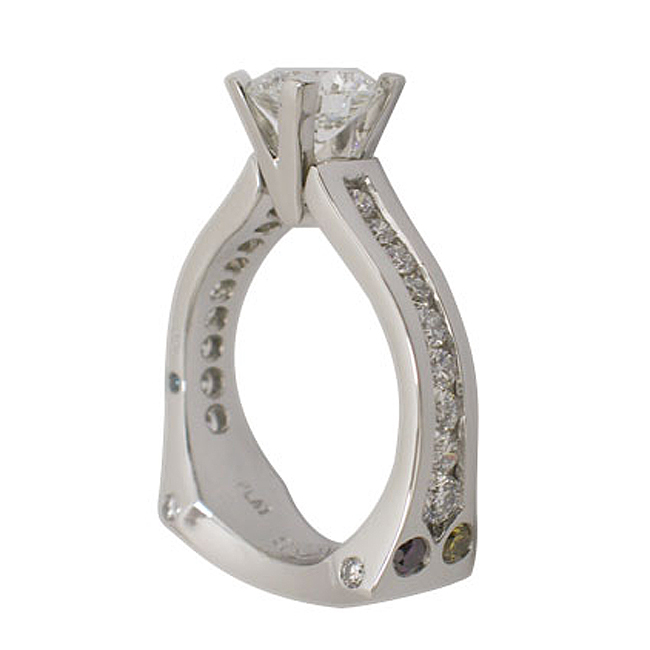 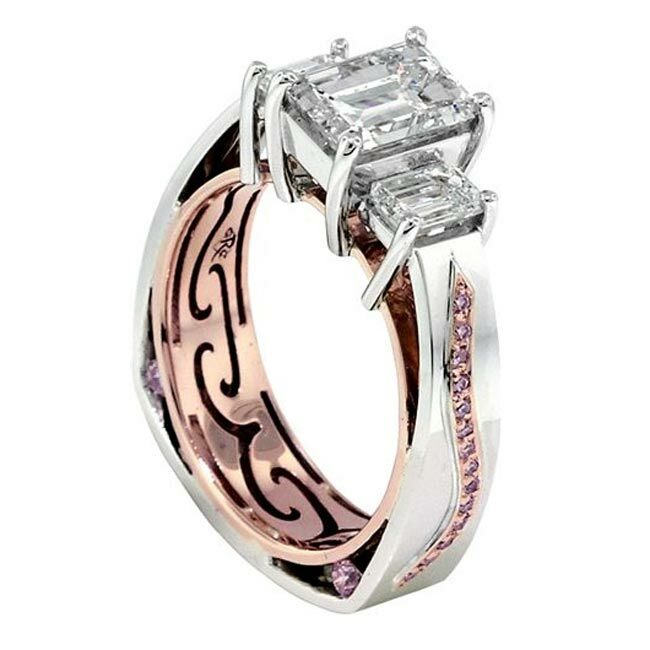 Side Stones: .63ctw Collection Colorless Round Brilliant Cut Diamonds. 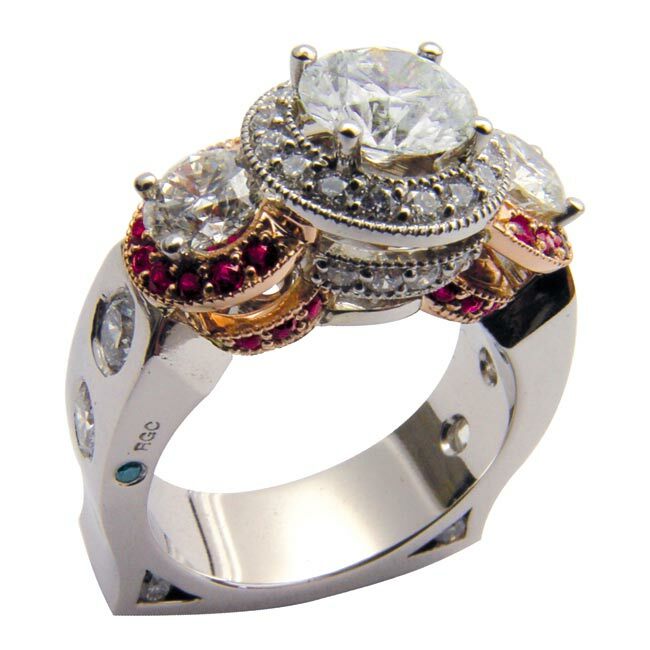 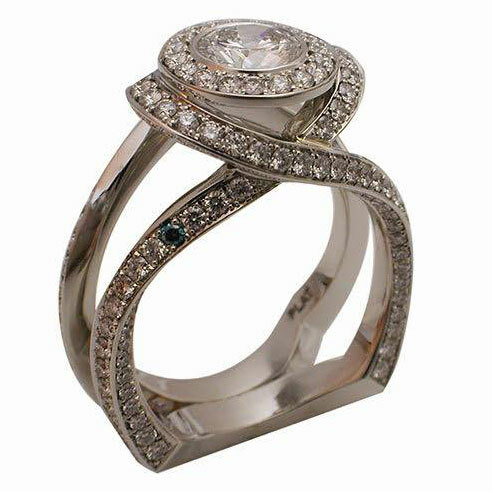 Description: Pronounced half bezel with a round brilliant diamond center stone adorned with bead set round brilliant diamonds accented with two rows of channel set round brilliant diamonds down the sides of the ring. 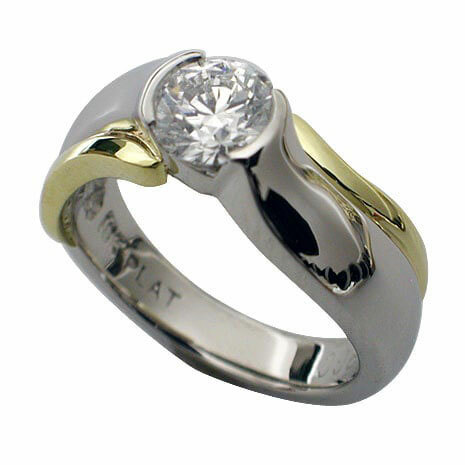 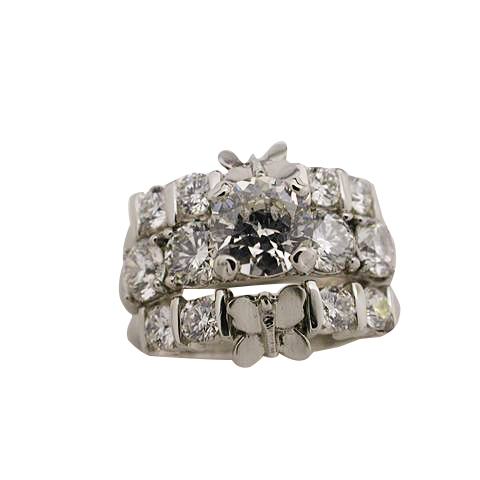 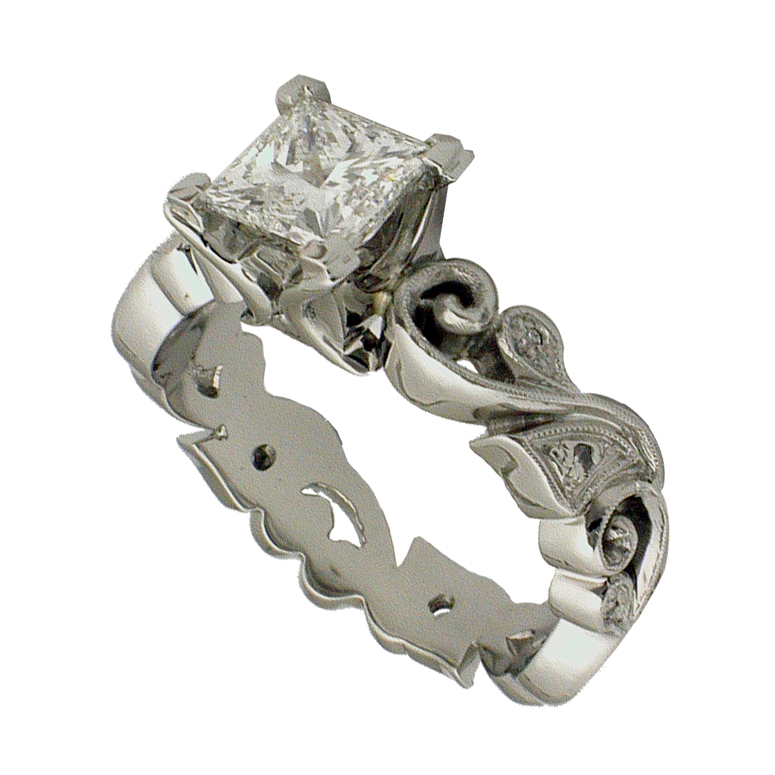 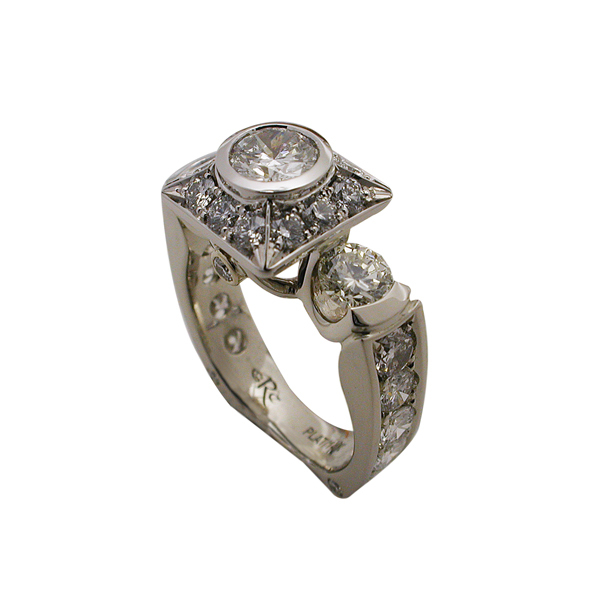 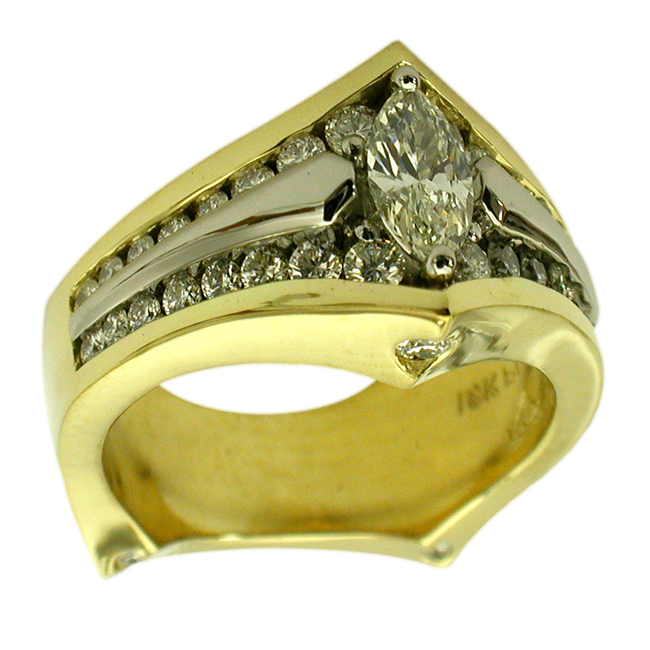 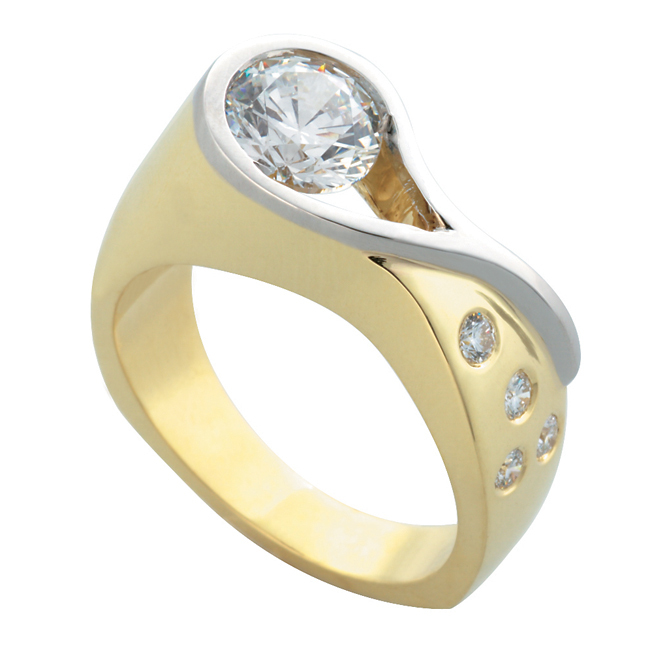 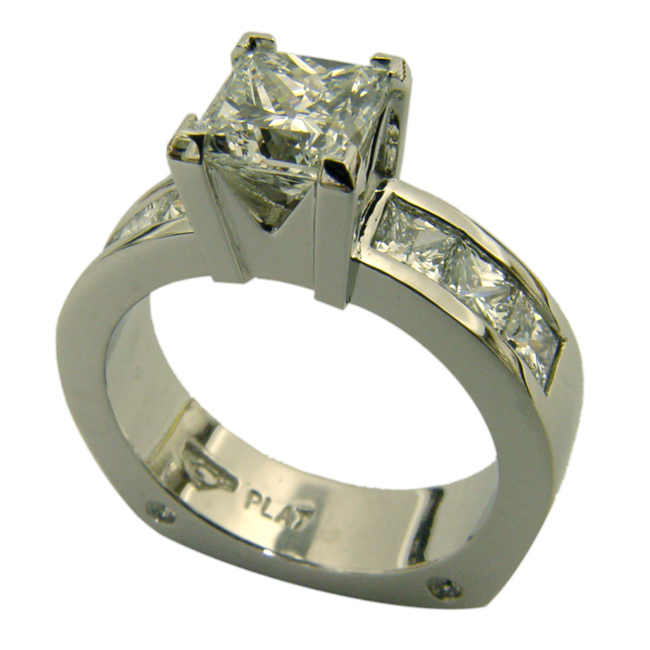 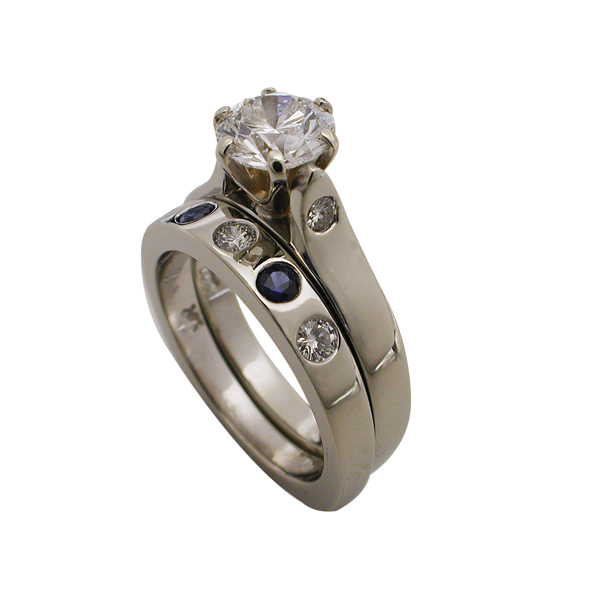 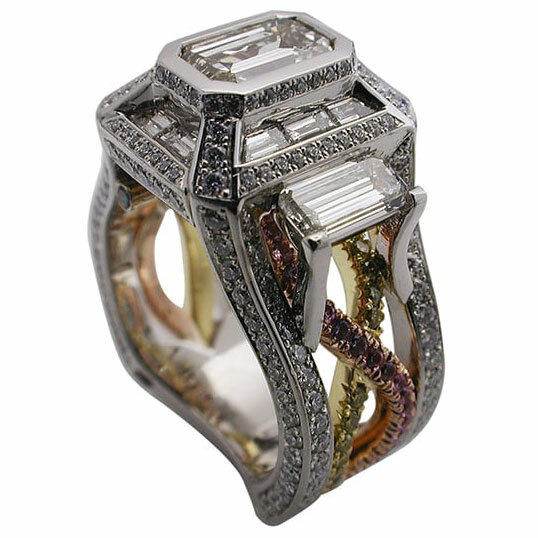 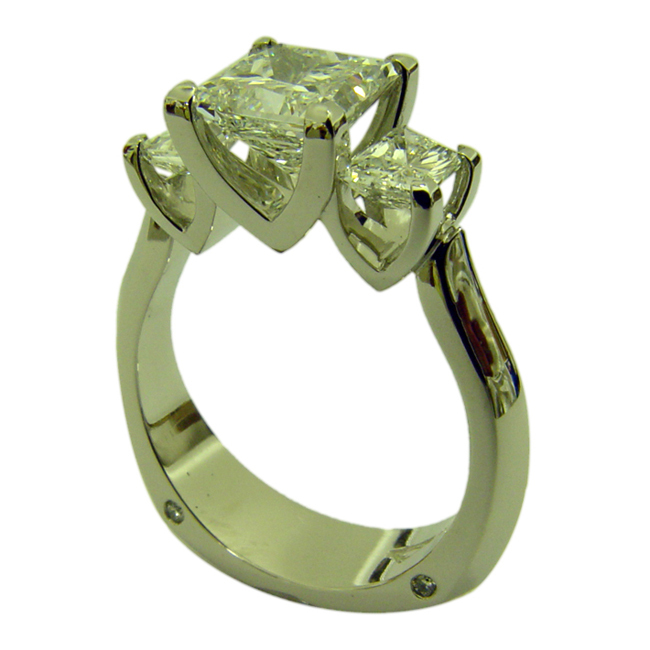 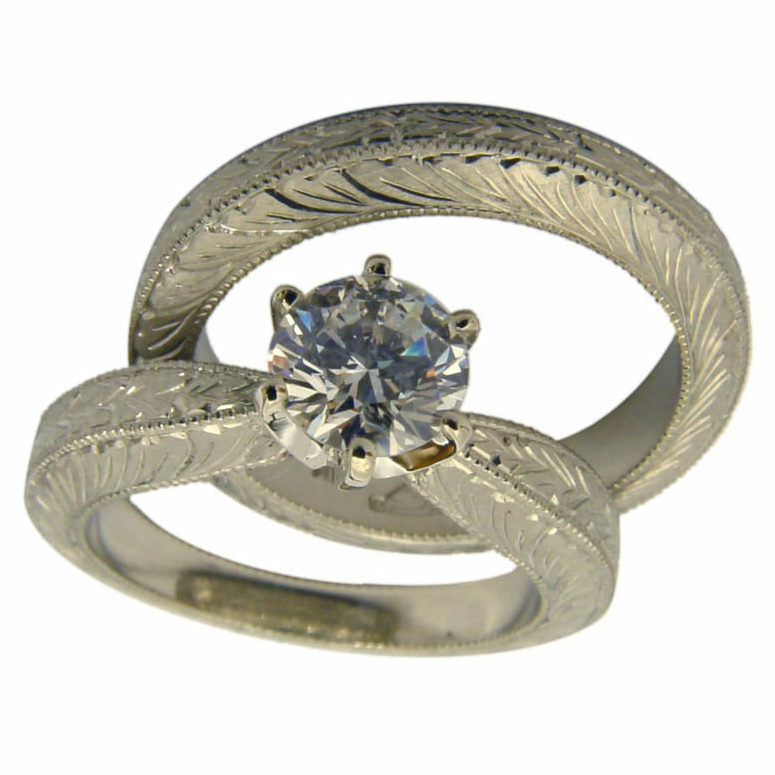 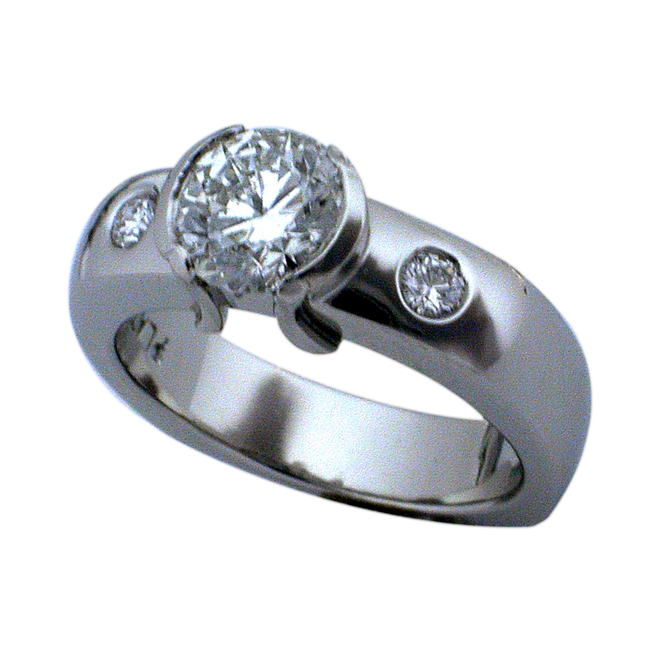 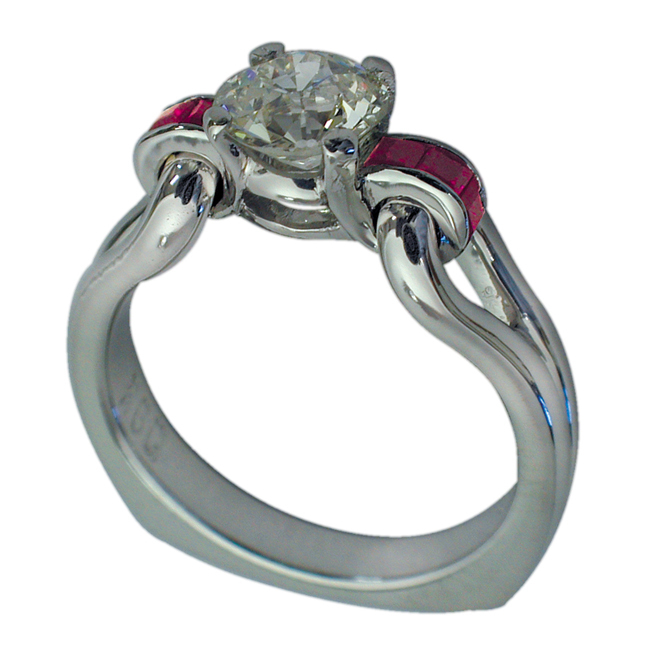 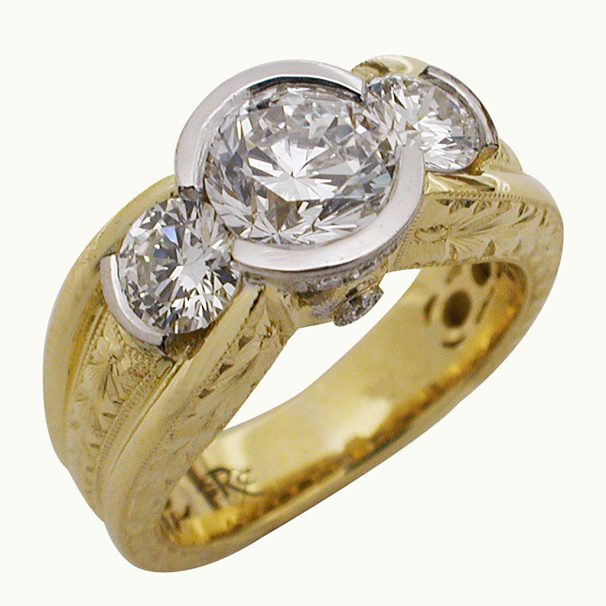 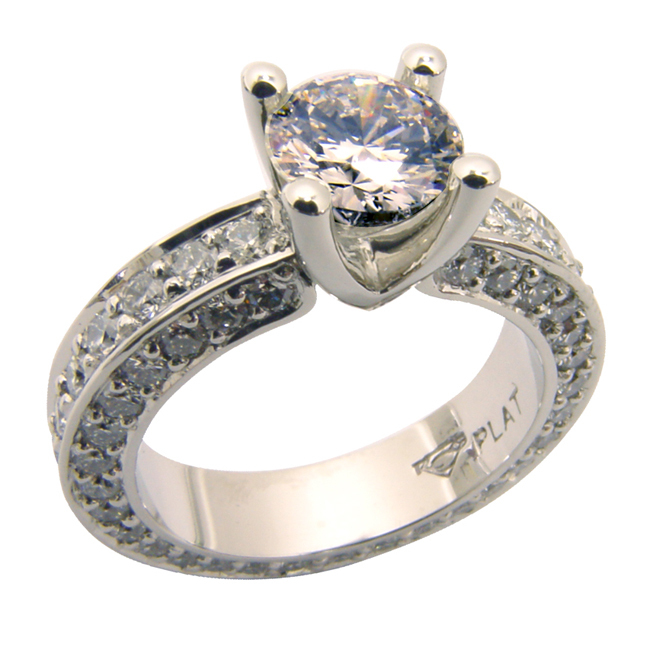 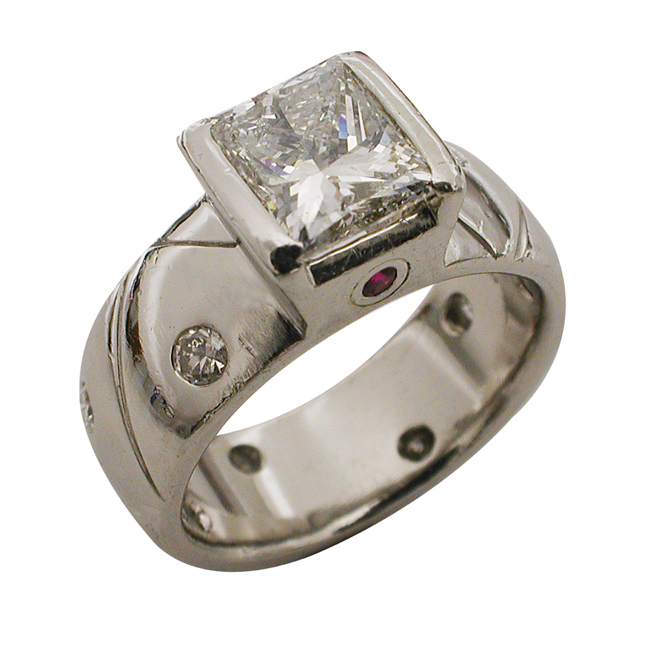 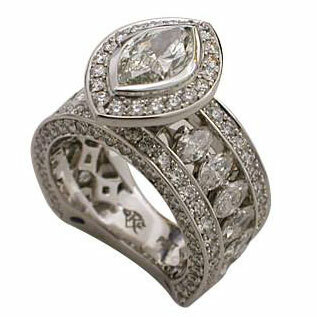 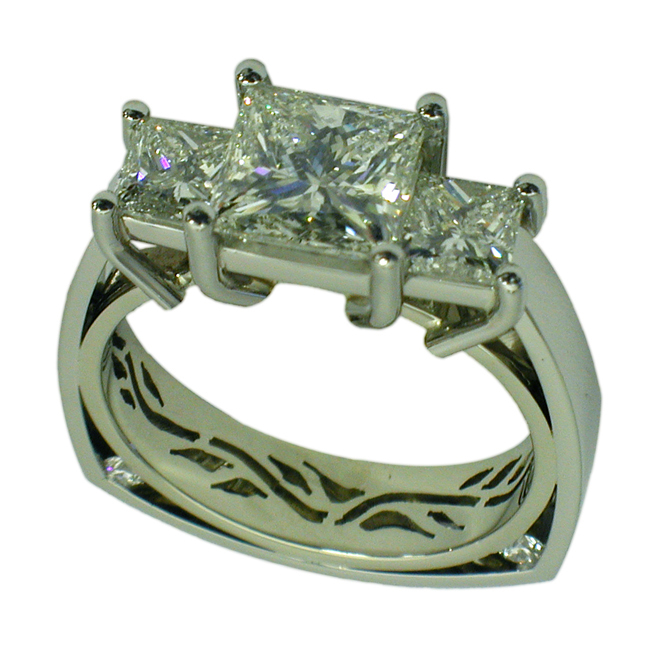 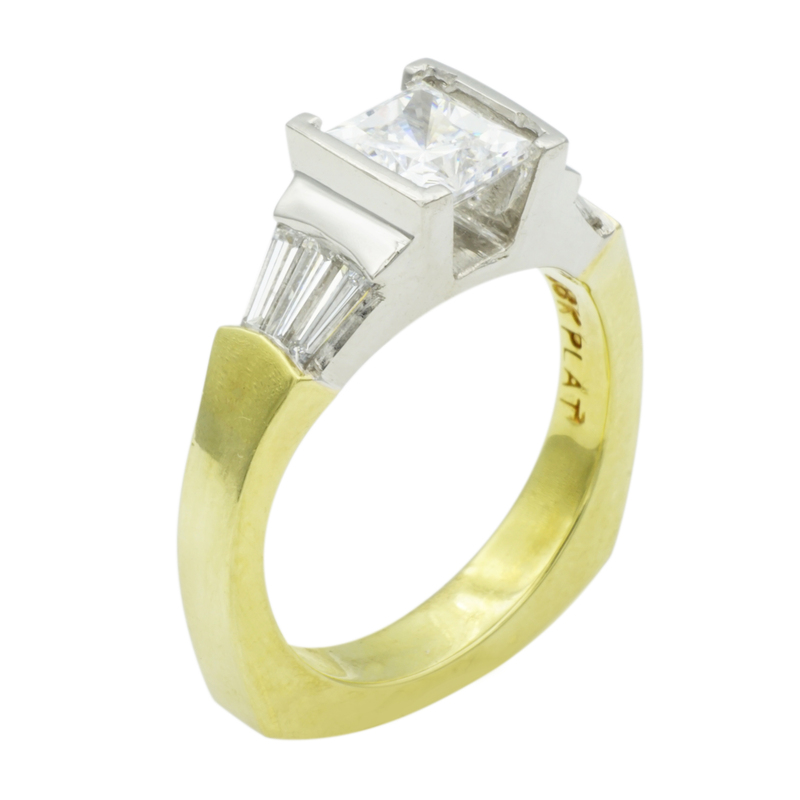 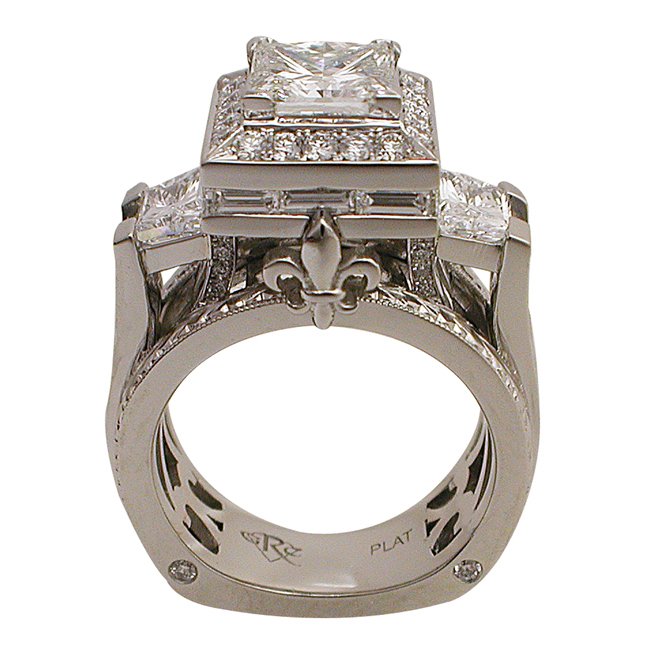 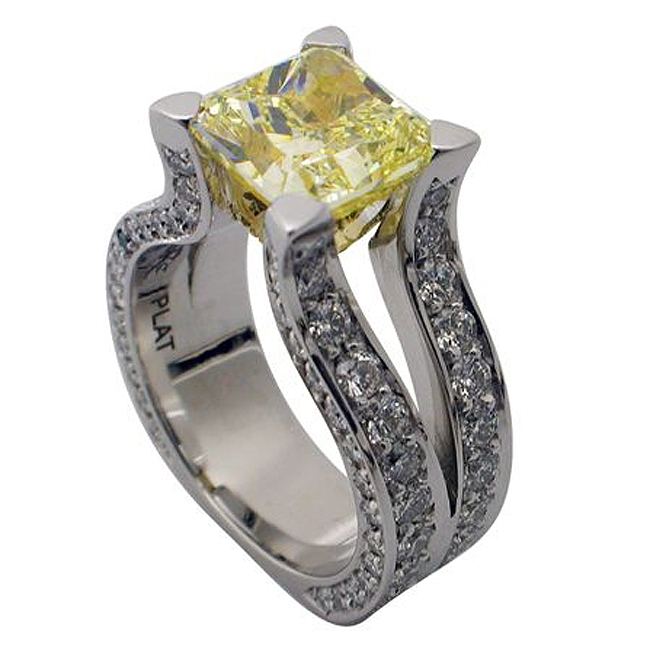 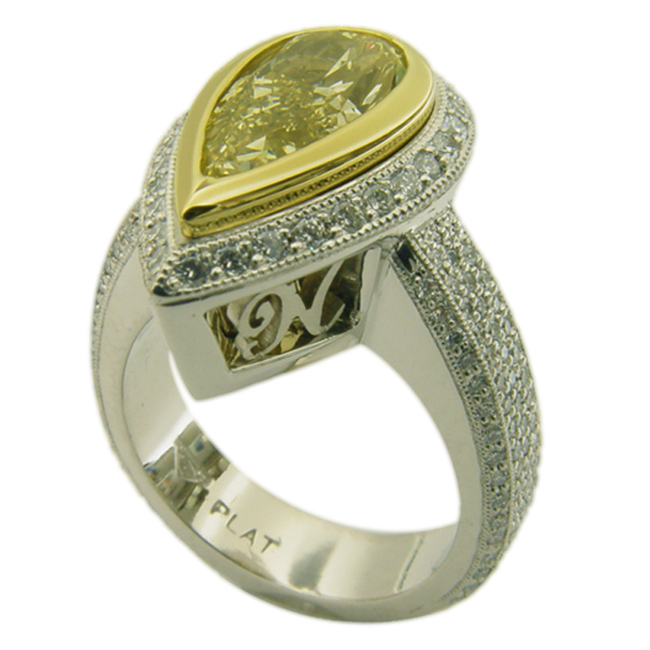 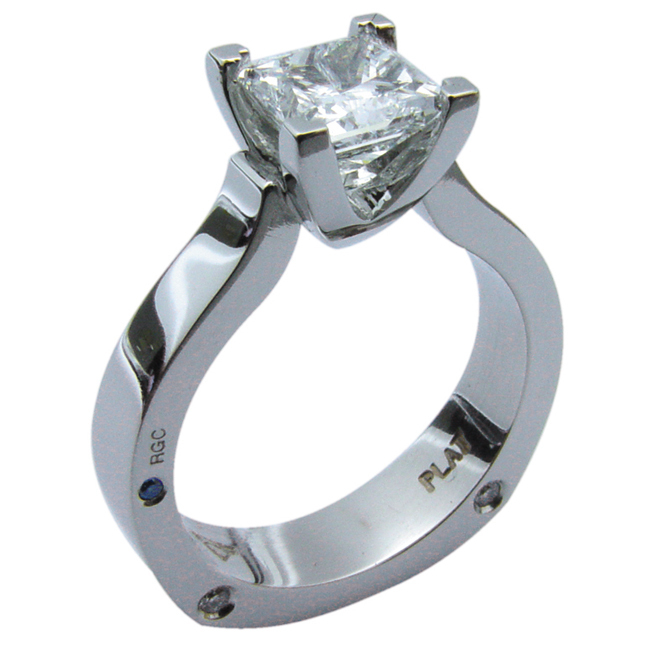 The wide base of the ring has a square European design with grooved edges.